Acesse a Rede Juntos (redejuntos.org.br) e aprenda como melhorias na gestão municipal foram implantadas. Tire dúvidas. Sugira conteúdos. A Rede Juntos é feita com e para os servidores públicos. Esta plataforma nasceu com o objetivo de ampliar, ainda mais, o espaço de troca entre gestores públicos - estes que acreditamos ser os verdadeiros agentes da transformação da gestão pública brasileira. 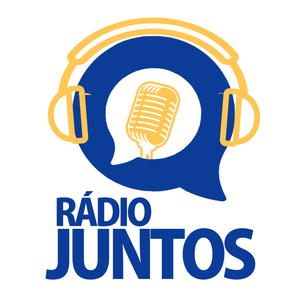 Neste podcast da Rede Juntos, Sady Jacques, coordenador da Associação Software Livre, fala a respeito do uso do software livre na gestão pública. A Rede Juntos convida Leandro Telles, o atual diretor da IMA (IMA - Informática de Municípios Associados) do município de Campinas para falar a respeito do uso da Tecnologia na Gestão Pública. Neste podcast, Leandro explica como o uso da tecnologia otimiza e desburocratiza os processos públicos, criando assim maior acessibilidade de serviços aos cidadãos. In this podcast Professor Yumi Shimabukuro explores global cases of social policy innovation from around the world. She holds degrees from Columbia and MIT and received a post-doctorate fellowship from Harvard University. She is the acting director of SIPA’s urban social policy concentration, and her forthcoming book is “Building an Inegalitarian Welfare State: The Impact of Dualistic Coordinated Capitalism and Elite-made Democracy in Japan”. Professor Baney teaches Strategic Communications at both SIPA and the Columbia Business School, and is the author of the “Guide the Interpersonal Communications”, a book published by Prentice Hall. Her lecture covers strategies for handling tough questions at press conferences and other events. Dr. Lagunes holds a PH.D from Yale University, and is the co-editor of the 2015 edited volume “Greed, Corruption and the Modern State”. His talk looks at the economic impact of corruption, and examines strategies to contain and prevent it. Professor Baney teaches Strategic Communications at both SIPA and the Columbia Business School, and is the author of the “Guide the Interpersonal Communications”, a book published by Prentice Hall. She discusses about some of the critical elements of good communications strategy for organizations, including conducting an audience analysis and identifying communications objectives. Dr. Eimicke is has held a wide variety of important government posts, serving as housing czar for New York state and director of strategic planning for the New York Fire Department following the terrorist attacks of 9/11. Prof. Eimicke will be talking about structuring partnerships between government, the private sector and non-profit groups. Drawing on cases from the US, Asia, Latin America and the middle east, professor Eimicke outlines some of the key elements needed to make public private partnerships work. Professor Metz is a partner at Consensus, a consulting firm specializing peace building. Professor Metz has more than 15 years’ experience in issues such as large group facilitation, conflict-sensitive development, and restorative justice. Professor Metz has worked with the un development program, search for common ground, and wide variety of international and civil society organizations. Professor Metz discusses negotiations and conflict resolutions in a variety of settings. Professor Gerola served IBM’s program executive for New York City, working with city agencies such the Fire Department of New York in the implementation of data driven management solutions. Gerola explores some of the important trends shaping government’s use of technology, including use of mobile technologies, artificial intelligence, and the internet of things. In Portuguese! Mr. Leite is the former mayor of the Brazilian city of Pelotas, where he oversaw several award-winning public health initiatives. Mayor Leite discusses using strategic planning as a tool in shaping public health policy, and designing and implementing public private partnerships in the municipal health care sector. Dr. Sclar is the director of the Center for Sustainable Urban Development at Columbia’s Earth Institute, and the author of the award winning book “You Don’t Always Get What You Pay For, The Economics of Privatization”. Prof. Sclar will be talking about New York City zoning regulations, and the centuries long negotiations that surround them. Dr. Trebat is the director of Columbia’s Global Center in Rio de Janeiro Brazil, and the former director of SIPA’s center for Latin American studies. He prior to joining SIPA, professor Trebat was managing director and head of the Latin American team in the economic and market analysis department of Citigroup. He is also the author of “Brazil’s State-owned Enterprises: A Case Study of the State as Entrepreneur”, published by Cambridge University Press. Professor Trebat will be talking about the factors that make cities competitive in today’s global and increasing interconnected economy.